Are you ready to really Expand? Elevate your power to lift and expand,​ while you do the same for others. You've done all your work. You know your stuff. You're now ready to expand your circle outward, to improve the lives of more people. Do you have something to offer, but aren't sure how to increase the number of people you reach? Or do you have a business already in place, but are unsure how to negotiate your time, money, and materials? How are you going to improve on what you already have? You're someone who has already invested years in study, personal growth, and understanding your business. You're no longer interested in learning the basics. You're ready to grow now. You're tired of wasting your precious time on activities that seem to bring you down, and you just know they should be handed off. 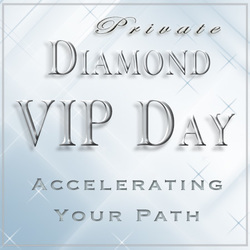 You know you want one-on-one private mentoring to expand and accelerate your growth. You want more growth, but you don't want to sacrifice any more freedom. You know you can handle a lot, but losing the joy of life is not why you went into business for yourself in the first place. You want more freedom, time, and money. One year is what it will take to get all elements put in their right place. Identify your true gifts and discover how to package, promote, and express those gifts in service. It may take a shift you're unused to, because the way you're handling things now is how you've arrived where you are, but it will be a rebirth of your vision for yourself and your business. You will learn how you truly want things to be. It's now time to expand upward into that "be, do, have" you've always dreamed of and know you were born for. And achieving the freedom you seek. 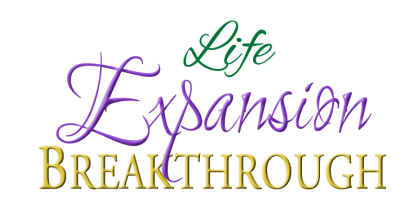 Without a doubt, in no time you'll be experiencing your next Life Expansion Breakthrough. Growing into the New You you've always known you should be! All that's left now is for you to imagine exactly where you want to be in one year. Now, ​expand that vision! One 4-Hour Private Intensive. Starting off right—Via video Skype, phone or in person. * This intensive takes a deep dive into everything you have going on now. We will create a plan and the month-to-month strategies you'll be following in the coming year. Two 1-Hour Calls per Month. Celebrations of your wins, question-and-answers on what's happening for you, and clearing your mind to set the direction for the upcoming weeks. Email Access for Support and Accountability. Fully take advantage of what this really means: you can communicate with me for any questions, support, focus, or sharing needs. I am 100% there for you in all updates and celebrations! Access to All Personal Well-being Resources. More than thirty years of spiritual, health, finance, and relationship resources. Access to All Entrepreneurship & Business Resources. Product creation, marketing strategies, team building. *Accommodations not included. Please contact me to discuss location for in-person meetings. 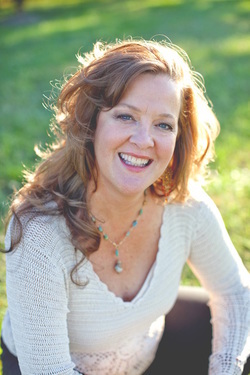 ​She has helped hundreds of people heal, transform, and find their right paths in life, leading them to live truly fulfilling and elevated lives. Your Private Intensive with me will be the way we kick-start your year. Download to me everything you have going on, what's been going, and what you want to create next. With full analysis and the integration of new principles to guide your life and business, we'll set up a plan as the blueprint for you in the coming months. This process is repeated at the six-month mark. 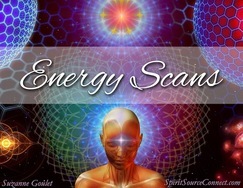 An Energy Scanning session allows me observe deeply into your consciousness to much higher levels so that I can read each one of your chakras. As I am guided by Spirit, I will reveal the information that you are holding there, giving you the knowledge you need to decide which steps are most beneficial to take next on your path. 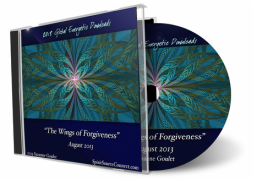 ​By using this energetically powerful, channeled from Spirit material, listeners have seen the difficulties in their lives change and transform much more easily. "I have not taken the time to properly thank you for the many tangible and spiritual gifts I have received since coaching with you. My life feels authentic now, and I feel like I am on a magical mystery tour with an open heart and mind, and what a welcome transformation that has been for me. I have been searching for years, for me, my path and some serenity. And, now, voila, here it is—here it always was; I just needed some assistance, guidance and gentle nudging to see all that is accessible. I am infinitely grateful for connecting with you!!!"